So, here we are the end of September already. I can not believe how quickly this month has gone. It has been so busy though, so it’s not surprising it has gone so fast. I have spent a great deal of my time working with the Three C’s – Collaboration, Consultation, and Communication. Each one of these C’s has been very important in my learning and understanding the students, their families, and our staff. Much of my Administration time (1 1/2 hours each afternoon) during these past two weeks has been spent working in classrooms, collaborating with teachers, and getting to know students. My administrative partner and I have been sharing the responsibility of relieving individual teachers to meet with the Learning Support team, Child Care Workers, and Counsellor to discuss the students in their class, including their individual needs and concerns. These are often called “netting” sessions, where it is the hope that we are able to catch the most needy children in our “nets” and help them as a team. At times when I was in the collaboration meetings, my principal worked in individual classrooms on a specific activity we planned to do school-wide with all students in all classrooms. During this time, I attended the meeting with the “team” and the classroom teacher. Then, for some of the “netting” meetings, I worked in the classrooms, while my principal attended the “netting” meetings. While it has been great to go into the classrooms to work with the classes, it would also have been very beneficial to have both my principal and I in each of these meetings. However, one must think outside of the box, work differently when needed, especially for things we believe in strongly. We must make the best of these situations and always try to think positively. During the collaboration “netting” meetings, we learned a great deal about the complex needs of each student and their families (academically, socially, and personally). Some of what I heard was somewhat disheartening (but not surprising, knowing my own background). Many of these children are dealing with so much. The information I learned during these meetings reinforced the information we were presented in the Colleen Drobot workshop on the importance of Attachment. In addition to the collaboration meetings, we’ve also been completing “consultation” meetings with any class which had over 3 designated students (a requirement of Bill 33 legislation in British Columbia). In my time as a vice-principal, working at two other schools, I had not yet had the opportunity to be involved in these meetings. Over the years, I have heard grumblings from other people – teachers and administrators – about these meetings being a waste of time. I was very interested to take part in these discussions and form my own opinion on the matter. During the consultation meetings we (the teachers and administration) discussed each of the designated students, their needs, and the supports that were in place for the students. Then, we discussed any concerns the classroom teacher may have regarding the class and the supports that were already in place. This evolved into a discussion about what supports could be changed or added to better meet the needs of the individual students so that the students in the class would be able to meet the goals of their Individual Education Plans and meet Prescribed Learning Outcomes of the Ministry of Education. While some may find these consultation meetings onerous, time-consuming, and rushed, I felt these meetings were necessary, meaningful, and powerful. The teachers were professional in these meetings. They knew their students and their individual needs very well. In addition, they had really well thought-out concerns, comments, and suggestions that we likely would not have come up with without their input. In the end, the students (and the teachers) will be better supported as a direct result of participating in these consultation meetings. During these collaboration (netting) and consultation meetings, I feel I have really come to know and learn about the staff, the students, and their families in a much deeper way. It was through open and honest communication that allowed this learning to take place. 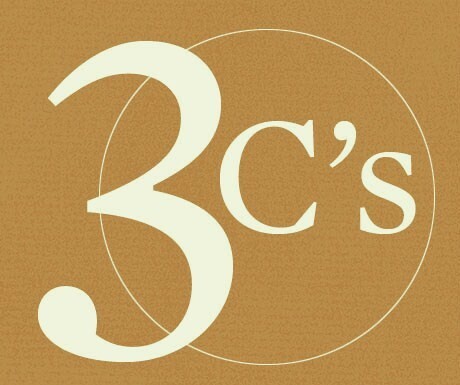 I can not emphasize enough the importance of the 3 C’s – Collaboration, Consultation, and Communication. These three C’s, along with an open mind, are imperative to really making a difference for our students. I believe we have done just that and will continue to with the amazing, caring, compassionate and committed staff we have at our school. I guess there are many important C’s in schools! This entry was posted in Connections / Relationships, Lessons Learned, Poverty, Reflection and tagged caring, collaboration, commitment, communication, consultation, honest, learning, meetings, open, Poverty, powerful, students, success, teachers. Bookmark the permalink.